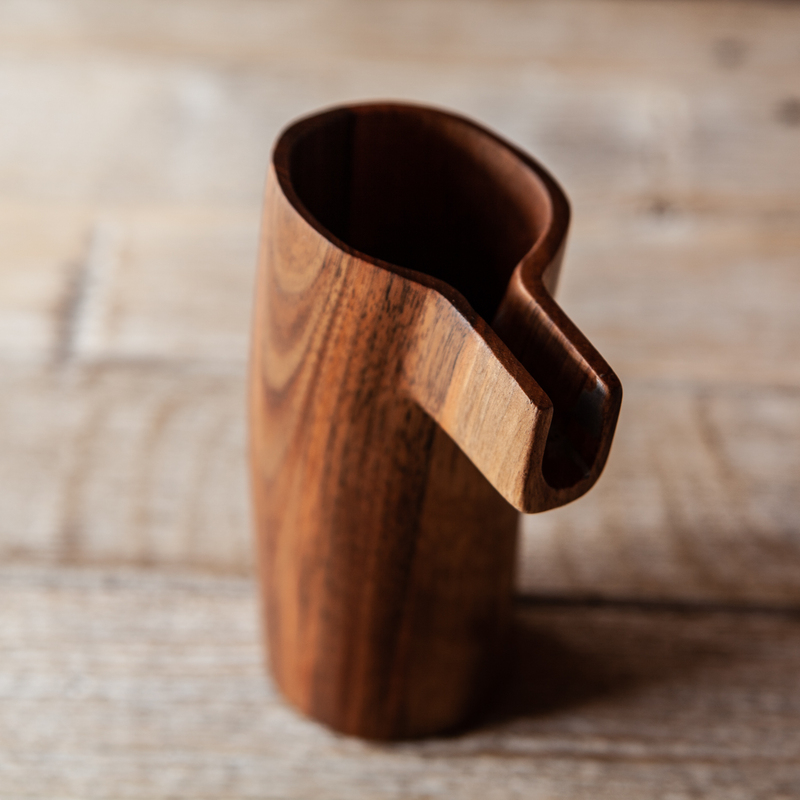 Walnut end-grain jug made from the juncture between the dark hardwood and lighter sapwood. 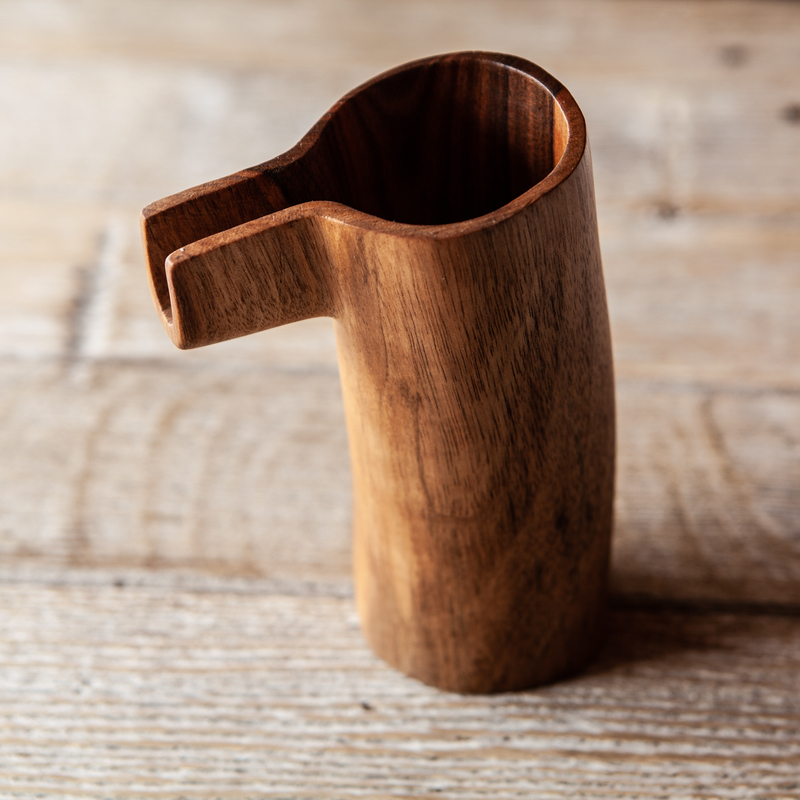 This jug is beautiful, but as a first prototype for a new style, imperfect inside. The exterior is as desired, the interior has a small thin area and the interior base is not finished. This is reflected in the sale price.